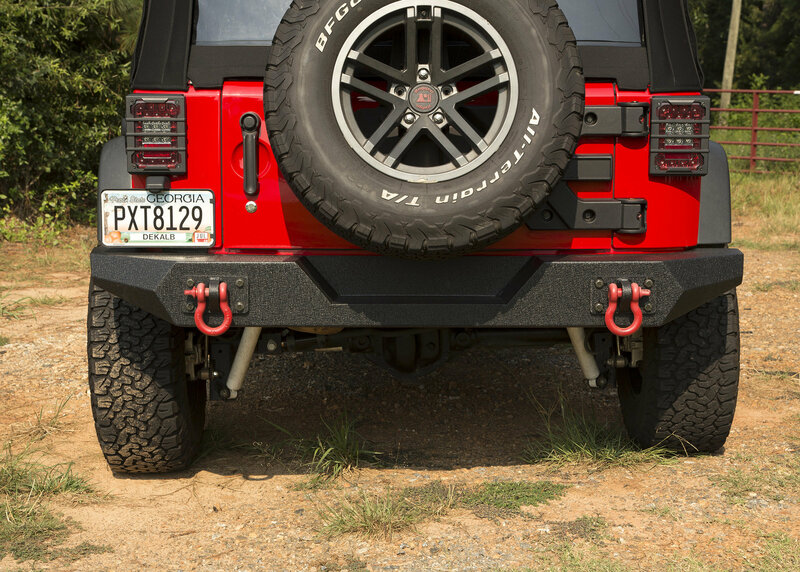 The Rugged Ridge Full Width Rear Bumper is the perfect complement to a Spartan Front Bumper on your Jeep Wrangler JK. 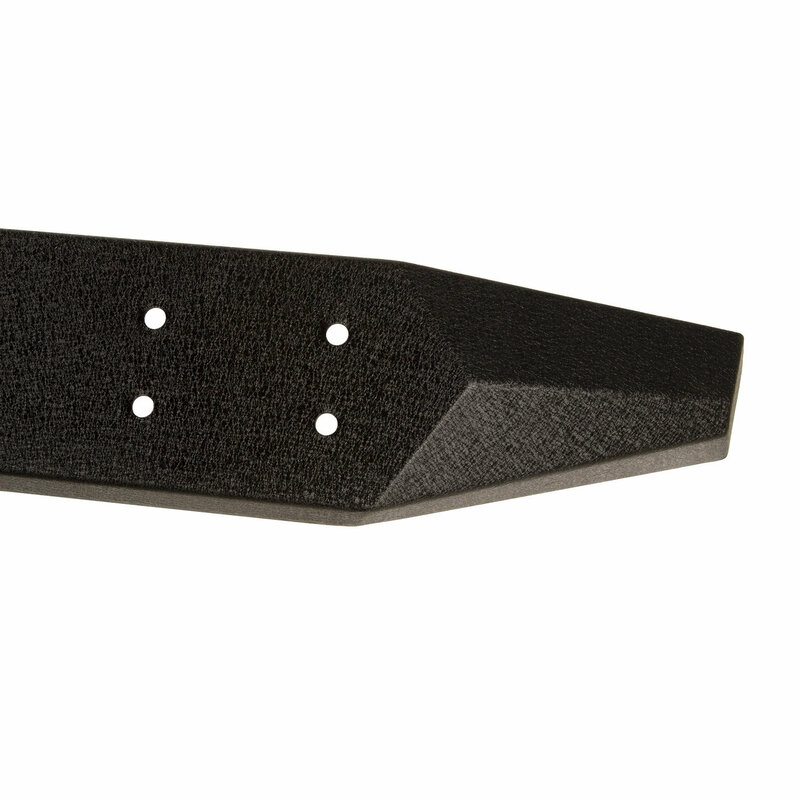 This one piece design gives you a rugged off road look without hitting you hard in the wallet. 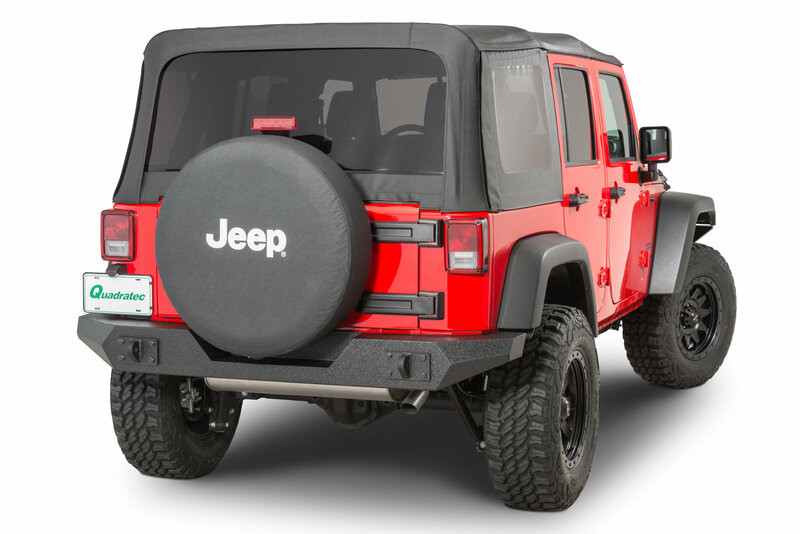 The sturdy steel construction with welded ends will take whatever the outdoors throw at it while the center section features a recess to give you plenty of clearance to fit a larger spare tire if you are running larger tires on your JK. 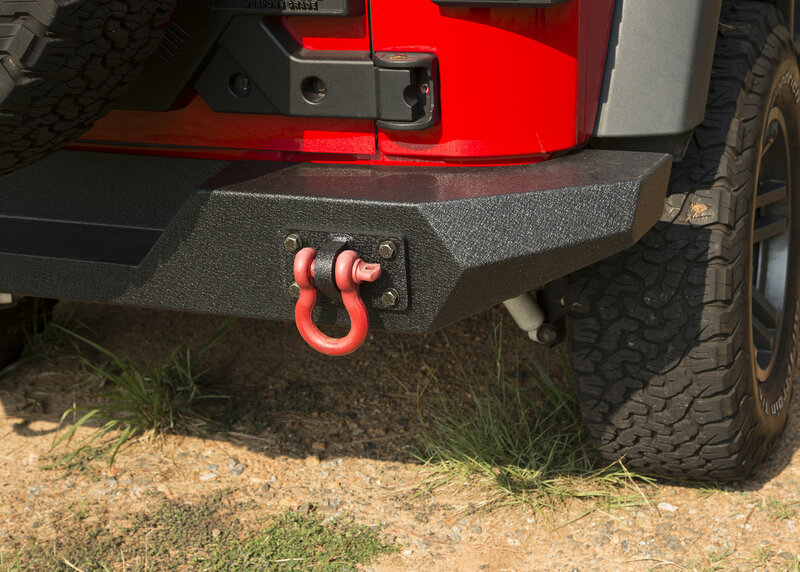 The integrated shackle plates are anchored to the frame giving you a solid recovery point if you every need to be pulled out of a sticky situation. 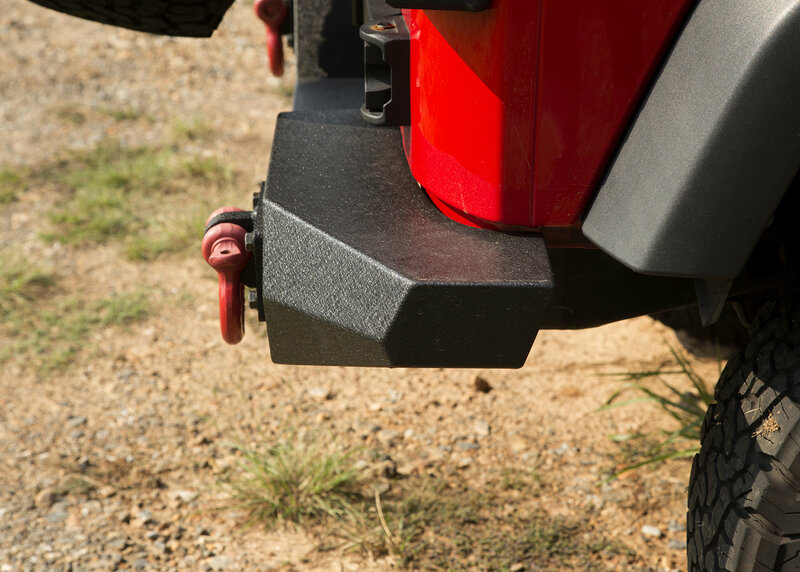 Additional Tire Clearance: Recesses center section of bumper will allow for larger tires and more clearance. 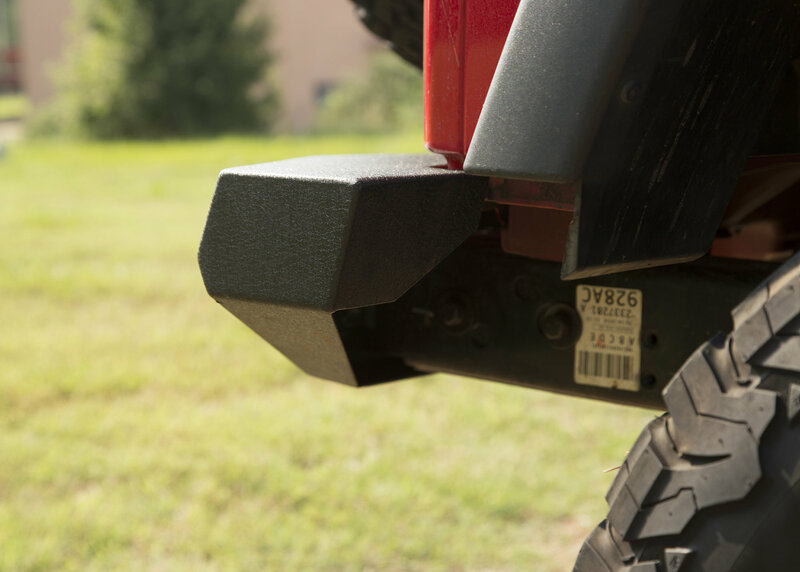 Additional Protection: The Spartan bumper is a 1-piece bumper with welded end caps and full width protection. 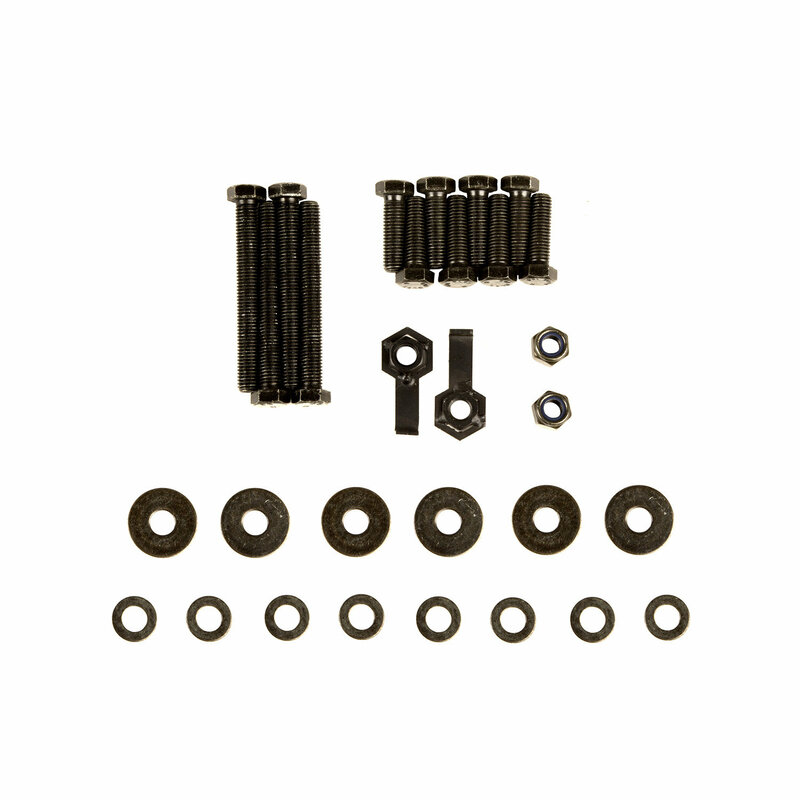 Easy Installation: Custom made for your Jeep Wrangler JK and mounting to the factory location with a no drill installation. 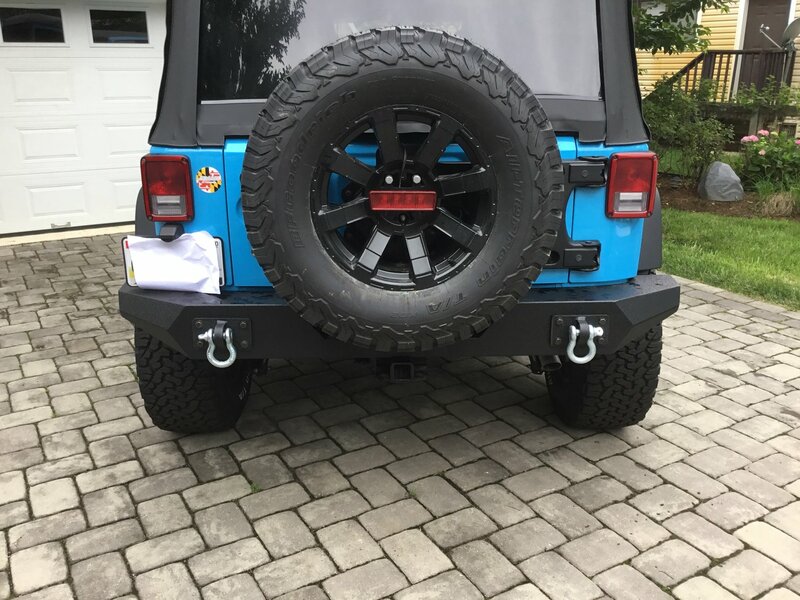 I really like this rear bumper and the installment was very easy and simple. 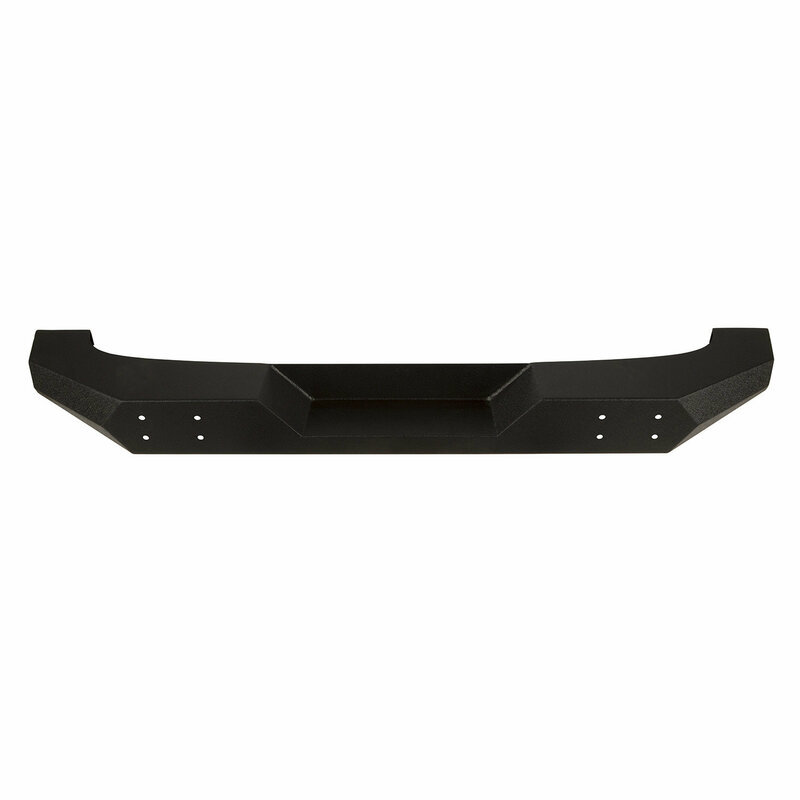 Great look thanks to the great quality finish (I have had a front bumper from Rugged Ridge with this same finish for a couple of years now and I can confirm it can take a lot without any mark/damage). 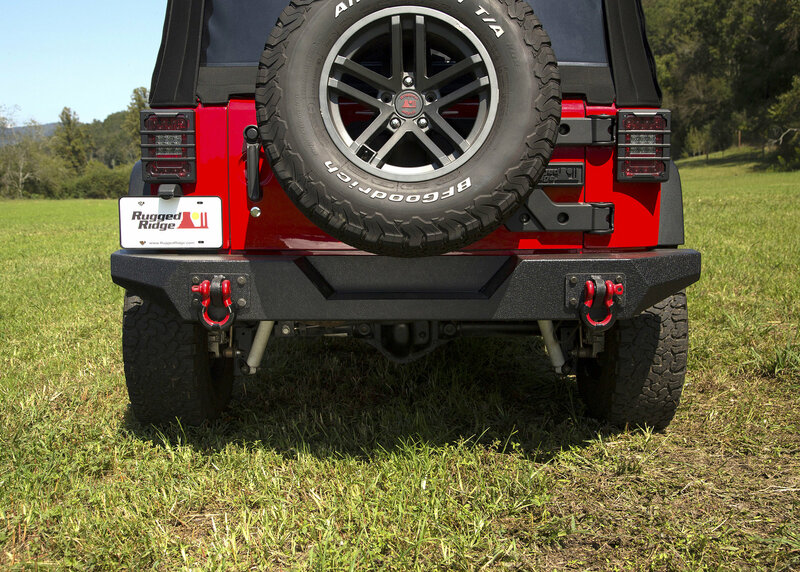 This rear bumper is quite light (for this category), which is nice. 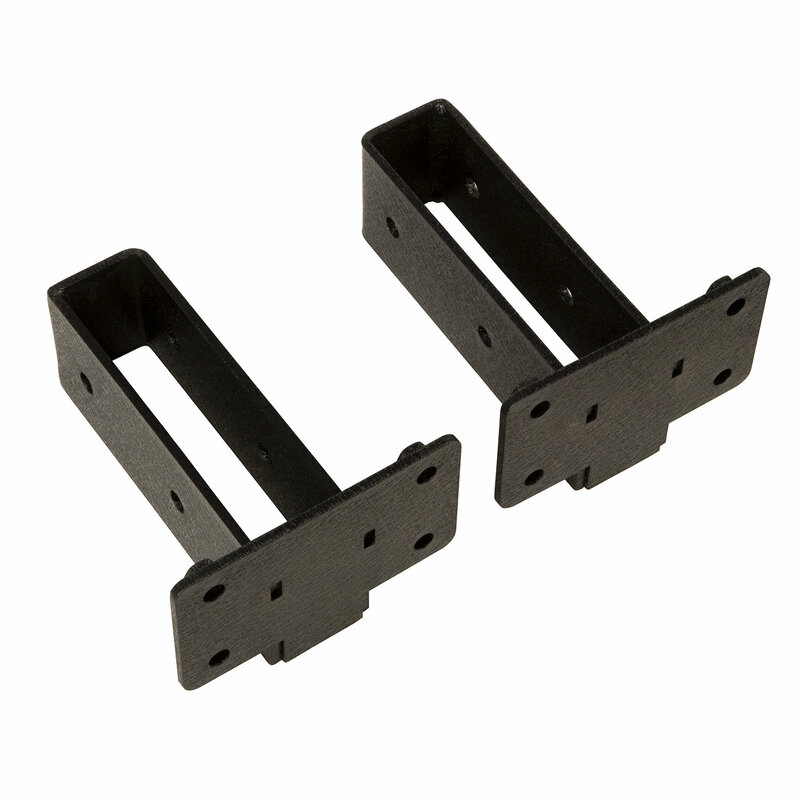 Easy to install on your own. Definitely recommend this product. 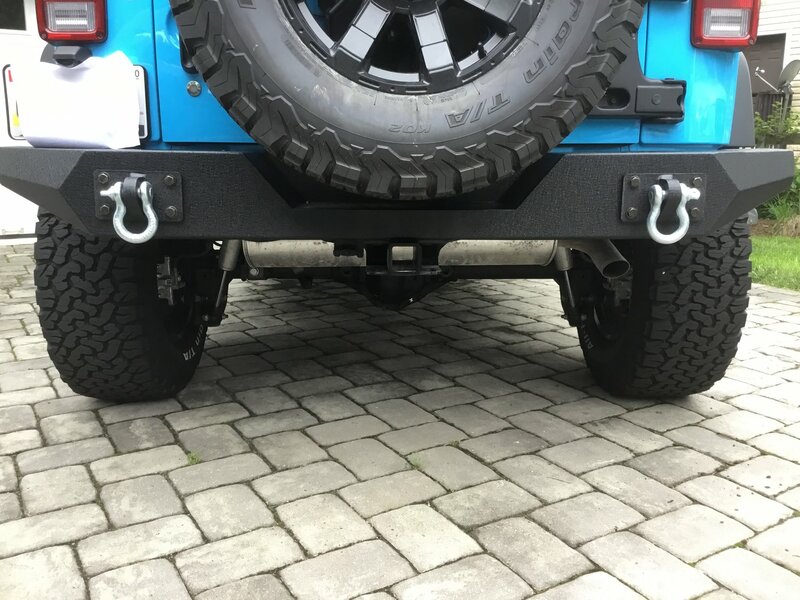 Bumper looks really good on my black Jeep. The install was pretty easy as well. I don't have oversize tires so there was no need to take the spare tire off. I have a 2015 Rubicon with the stock tires. 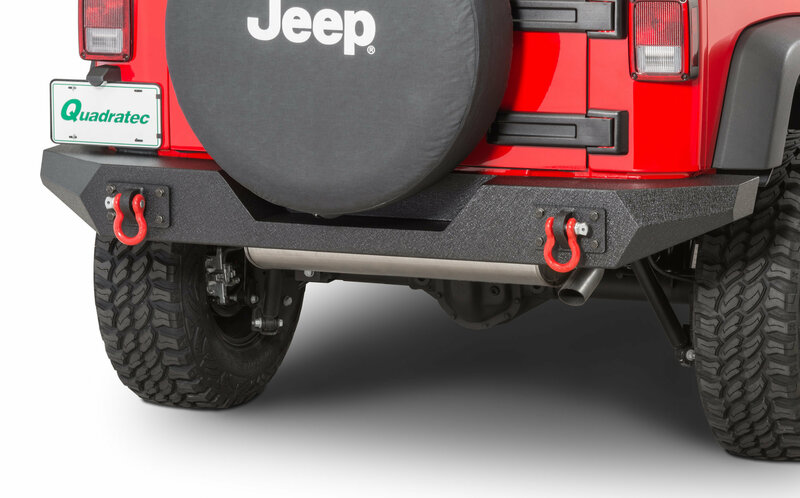 Will this work with the Jeep Factory Hitch on a 2013 Unlimited Sahara? 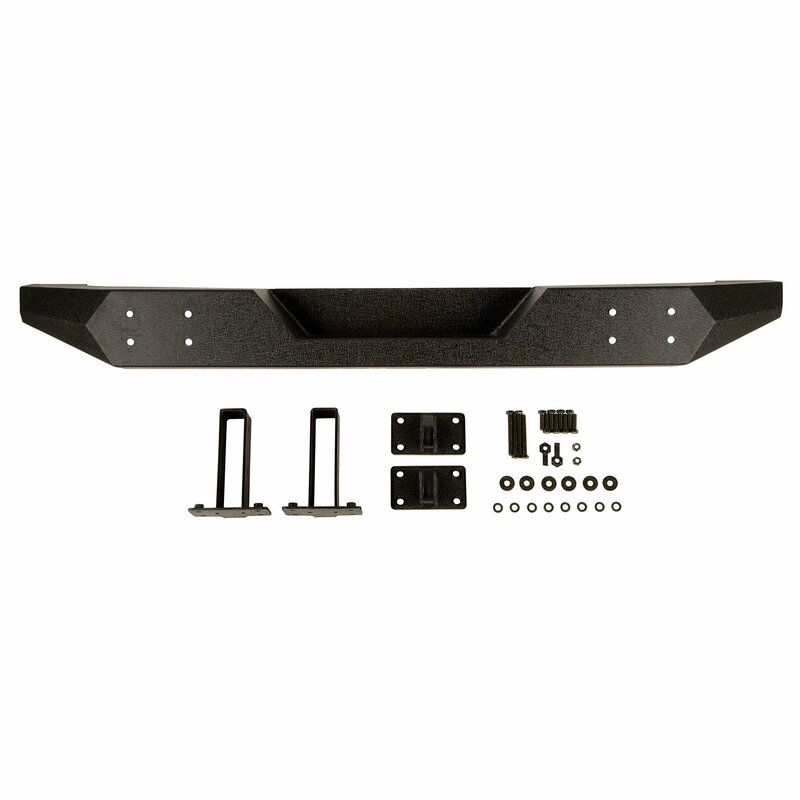 Will this bumper fit, without modifications, with the existing factory hitch on my 2012 Wrangler Sahara? 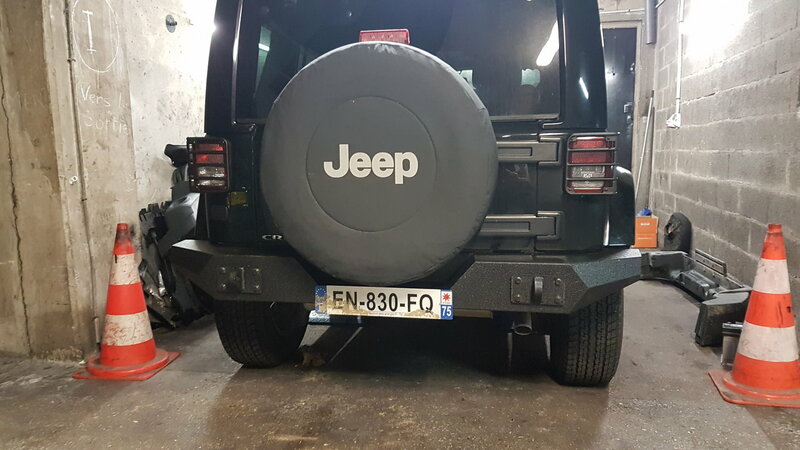 Does this bumper work with the factory trailer hitch?